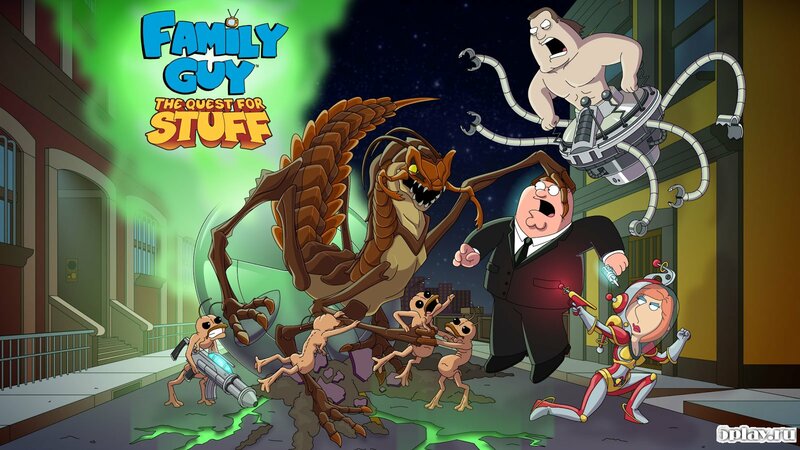 Family Guy The Quest for Stuff is a game that takes us into the universe of the world-famous and beloved cartoon family Guy. 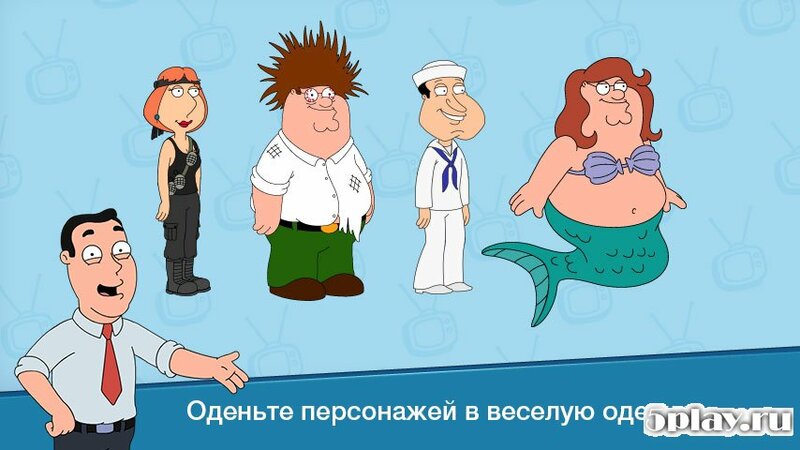 The action takes place in Quahog, a fictional suburb of Providence, state of Rhode island. The story prepares us for the next adventure Peter: this time he got into a fight with Chuck, in the result, the whole city was completely destroyed and we need to build a new one. The gameplay is more like "farm", because you have to build Quahog again. We start with the construction of the house head of the family then erected structure remaining characters, and so we are moving to the building of the town. Addictive gameplay us exciting missions, full of an incredible amount of humour. Sparkling jokes is the Foundation. Moreover, all the texts, humorous sketches written by the authors of the original animated series. Moreover, in your town residents are provided with your account in the local social network, where they will share their most intimate, in the same inimitable style. 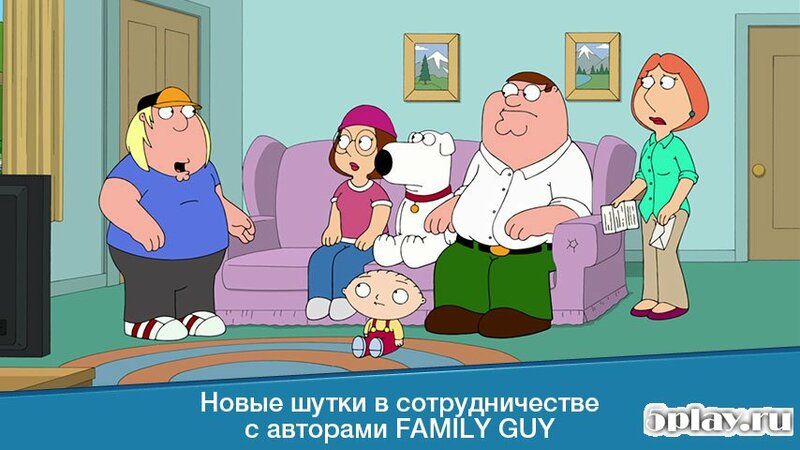 Family Guy The Quest for Stuff is a unique and unobtrusive entertainment. The abundance of jokes and unusual situations, which include the familiar heroes of the animated series will not leave you indifferent and will help to have a great time. Forward to an unforgettable experience.